Vancouver for over 40 years! announce our new and modern home just down the street in the newly developed Northwoods Village. Since Rolf’s retirement in 2016, Dr. T. proudly continues in the legacy started so long ago. Our mantra has always been “our family taking care of yours” and that has not changed; we look forward to the opportunity to take care of you and your family’s dental needs. 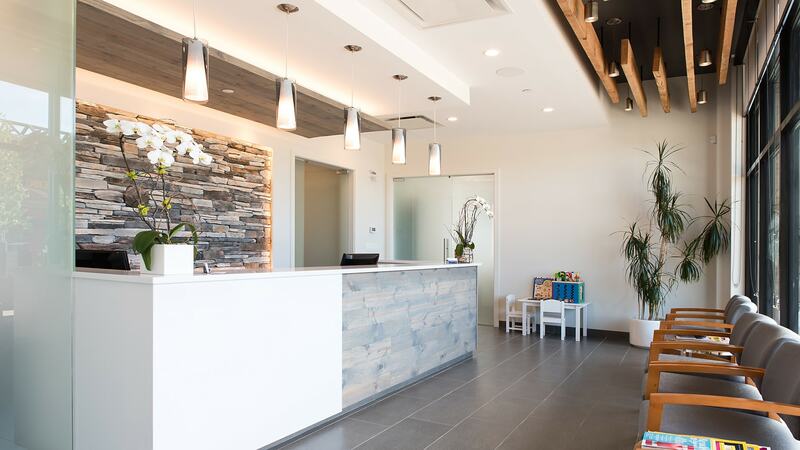 Our Focus… is to provide you with high quality dental care that is gentle and tailored to your specific needs. • Gentle – The dental office is not everyone’s favorite place to be; we get that! We will strive to ensure that you are being treated in a manner that makes you feel the most comfortable. We encourage feedback and open communication so that we can continue to care for you in a manner that will maximize your experience. • Tailored – We strive to educate our patients, helping them choose treatment that is most suited to their needs. Our dental team is your resource for information and we will take the time to explain your options, and answer any questions you may have, so that you can make an informed decision. During your first visit… we will examine your teeth, perform an oral cancer exam, review necessary x-rays with you and make an assessment of your oral condition. If a need for dental treatment is identified, we will first explain what the concern is, then what options you have, followed by their pros and cons. Once we have answered any questions and you have decided on a treatment option, a treatment plan and estimate will be prepared for you prior to beginning any procedures. Before your first visit… Please click here and you will find the Request Appointment form. Please fill in the blanks and it will automatically be sent to our office for you. Once we receive your request, we will contact you to confirm your appointment, answer any questions, and email you Medical/Dental History forms for you to fill out at your own leisure before your first visit. If you have dental insurance please bring your insurance information with you and we will be happy to assist you in submitting your claims. For information on locating our office please click on the Contact Us page. Thank you for choosing our blueridge dental team. We look forward to meeting you soon! Born and raised on the North Shore, Tony is proud to call North Vancouver home. “Dr.T.”has always found great reward in engaging and helping others, and continues in this passion today, by providing premium dental health care for his local community. 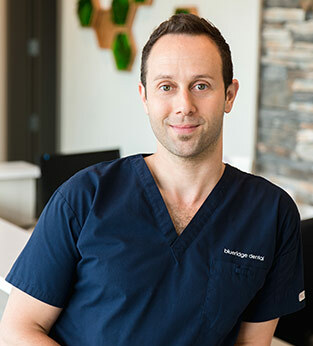 After working with at-risk youth in East Vancouver and volunteering as a camp counselor for the Canadian Cancer Society’s Camp Goodtimes for nearly a decade, Tony undertook studies at the University of British Columbia where he obtained his degree as a Doctor of Dental Medicine in 2009. Tony then worked alongside his father Dr. Rolf J. Reichert, an established veteran in dental health on the North shore for over 40 years. Together they evolved the long-standing family practice into a state-of-the-art dental clinic now known as Blueridge Dental. In the spirit of service, Tony has volunteered as a dentist in impoverished areas of New York, Brazil and here at home in the downtown east side. For two and a half years he split his time between the North Shore and rural Fort St. James, BC, practicing and promoting accessible dental health. With the birth of his daughter, and the retirement of his father, Tony’s efforts are now focused on making Blueridge Dental an outstanding clinic specializing in family dental care on the North Shore. In 2017 Blueridge Dental opened it’s doors at a brand new facility in Northwoods Village. Tony looks forward to continuing his father’s legacy of “family treating family ,” while creating a legacy of excellence, integrity and innovation of his own. When not working, Tony enjoys an active North Shore lifestyle and spending time taking in all that the North Shore has to offer with his wife Candace and their daughter Maddy. Member of the Ocean Dental Implant Study Club – Mentored study club for learning advanced skills in implant dentistry. Member and Treasurer of the DSC Study Club – Organization of young dentists dedicated to continually advancing their knowledge of modern dentistry.